Long time fans of Star Trek will be familiar with the Kobayashi Maru scenario — also known as the “no-win scenario”. This test, given to all potential Starfleet Captains has only been beaten once, by James Kirk. Depending on who you ask, he either cheated or just used some extremely creative thinking. 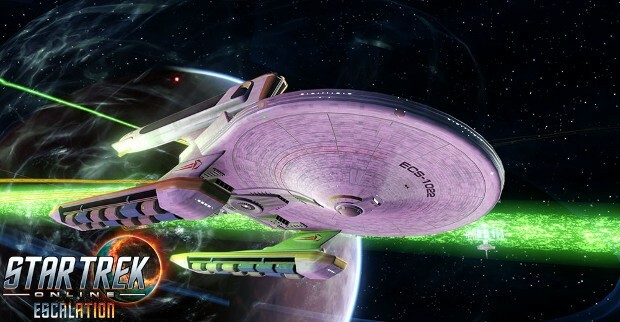 Now, Captains at level 50 or over in Star Trek Online can try their hand at the famous scenario for a limited time in the Kobayashi Maru test. Players can test their captaining skill in two different ways during this event — by either doing the scenario timed or untimed. Either way, the premise is simple. Keep the disabled Kobayasi Maru from being destroyed while defending it against waves of enemies. That’s likely easier said than done. Players who participate in the event will be granted a choice of marks. Those who survive a good while will also earn some dilithum ore. In addition, rewards will be granted for playing the scenario at least three days during the event. The event will kick off at 10AM Pacific on June 29 and run until 10AM on July 3. Full details on the event are available on the STO site. They really got this one wrong… the Kobayashi Maru was supposed to be a civilian freighter, not a constellation class cruiser.